Musicians work their bodies hard. String instrument players, especially aspiring students and professionals, easily play more than three hours at a time, often more. They demand long term repetitive, intricate, often unnatural movements from their muscles, ligaments and joints everyday. This almost daily ritual can last up to 60 years, much longer than the average professional athlete. Professional athletes suffering from many injuries are common knowledge, but only the string players know how much damage they can do to their bodies from making music. From the health professional's perspective, almost every violinist/violist that we came across suffers or suffered from neck and shoulder ailments. Close to half the cellist and bassist suffers from low back problems. Professional athletes, thanks to the commercial support of competitive sports, have enough resources from the latest technology, high tech equipments, specialist medical team of coaches and therapists to support their endeavours, but musicians often only have their teacher or colleagues to show them how and what equipment to use. Repetitive Strain Injury (RSI) is rampant amongst musicians. The most common list of injuries include: tenosynovitis of the fingers, tendonitis of various location of the upper limb , cervical myofascial pain syndrome, carpal tunnel syndrome, tennis elbow, and many more. Unfortunately, effective treatments for the above (RSI) are difficult to find, costly, and most importantly, the extent of healing possible from most therapists are insufficient to restore the high level of body performance required by a musician to play to their potential. As doctors and musicians ourselves, we personally experienced the same frustrations of injured musicians and understand our intricate needs. These combined perspectives give us the unique knowledge and insight to create ergonomically and kinesiologically superior solutions and products to help string playing easier. It pleases us most when musicians tell us they heal from using our products or methods. 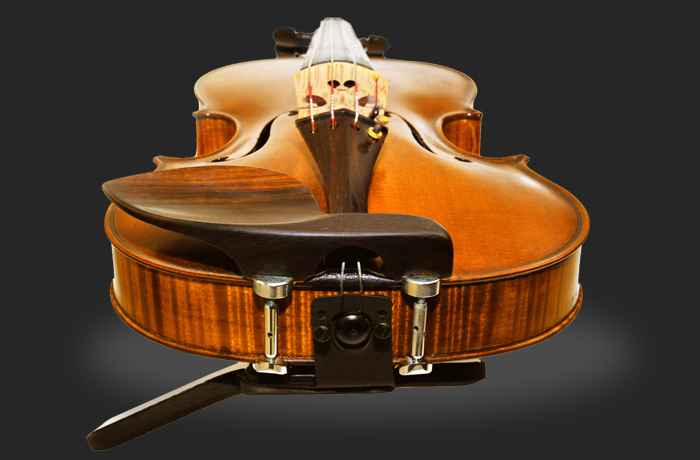 For every shoulder rest that we sell, a large portion of the proceeds go back to the research and development of better solutions to help the string players. We hope you will benefit from using our shoulder rest and also support our cause to help you.